Ski Touring season has started! With the start of spring, one of the best times of the season is upon us. With longer sunnier days, it is the start of Ski Touring season! 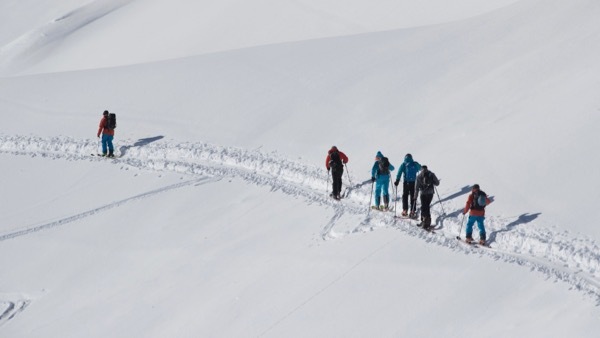 Ski Touring is when you head off into the back country, away from the lifts and the crowds of the resorts and pistes. Using specially adapted equipment that allows for walking uphill on skis, the adventure of ski touring is a truly special experience. With advances in ski and snowboard equipment technology, off-piste riding and ski touring is no longer exclusively the remit of expert skiers. Modern ski design and construction has opened up lots of new off-piste opportunities for snowsports enthusiasts that haven’t spent many years developing the techniques and tactics to ski or ride away from the lift accessed areas of a resort. Ski touring is one of the fastest growing areas in the snowsports industry, and for good reason. 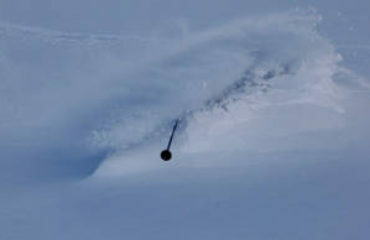 It adds a new dimension to a “regular” ski holiday and with it comes a whole host of other benefits. Check out this video showing some of the great skiing you can access by short tours in the Val d’Anniviers! An enormous sense of achievement can be gained from “earning your turns”, there is a great satisfaction that is gained from touring up a few hundred vertical metres to reach an untracked, perfect powder field. To be one of the first people down a pristine white slope, away from the masses is extremely gratifying, and certainly makes for a better Apres Ski story than just skiing the black slopes! Along with a new set of experiences and equipment (all of which is rentable) for new ski tourers comes a new set of skills, being able to use touring skins, transceivers and other associated items of equipment required is an interesting aspect to the experience. Especially if you happen to be a bit of a gear nerd! Some of the places you can discover are truly breath taking, serene and peaceful, certainly makes your holiday pictures a lot more appealing for your friends and family upon your return from holiday. Ski touring is a great way to increase your level of fitness, it is a strenuous but low impact (on the way up at least!) activity, that will get your heart rate up and make you feel great when you get to the end of the ascent. And then you get the reward of why you did it in the first place… The fantastic descent, away from the resort and potentially busy pistes. 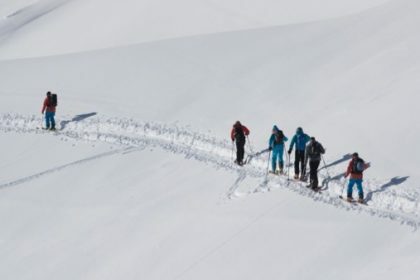 Spring is the perfect time to have a go at ski touring and with the awesome conditions and areas of Val d’Anniviers and Saas Fee, what are you waiting for? Contact us now to discuss a potential touring experience, whether you are new to touring or a seasoned veteran, Ski Zenit have all the know how and know all the best spots! If you’re experienced in ski touring, or would like to try for the first time , send us an email at: info@skizenit.ch or click Here!